Is That Cocaine on Your Dollar Bill? Everybody knows that once a bank note has passed through a few hands, it’s not the cleanest thing in the world. What you might not know is that, in addition to germs, grime and other visitors, the bills in your wallet probably contain cocaine. Although such traces have been reported in the past, a scientists’ group said Monday that cocaine is present in up to 90 percent of the paper money in the United States, particularly in large cities such as Baltimore, Boston and Detroit. 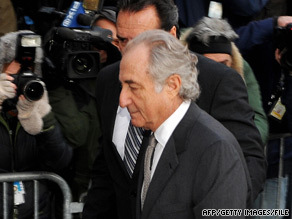 Madoff, the disgraced 71-year-old Wall Streeter who drew 150 years' prison time for the fraud, expressed remorse and talked candidly to a pair of lawyers suing him on behalf of investors, according to news reports of their jailhouse meeting on Tuesday. San Francisco attorneys Joseph Cotchett and Nancy Fineman met with Madoff at the North Carolina prison where he was taken two weeks ago after pleading guilty, the Associated Press and ABC News reported on Tuesday. "There were several times that I met with the SEC and thought 'they got me,'" Madoff told Cotchett and Fineman, according to abc news.com. The Securities and Exchange Commission is now conducting an in-depth review of how they missed the fraud, drawing intense criticism. The results of their investigation are expected to be released in weeks. Do you know what your family would do if you lost your job - or worse, your home? 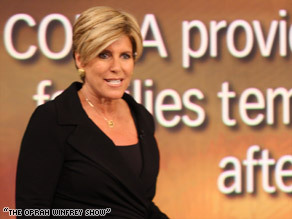 Financial expert Suze Orman is ready to help you devise a recession rescue plan to survive - and possibly thrive - during this deepening financial crisis. Families are also losing their homes at a staggering rate. Each day, another 10,000 homes are foreclosed, forcing families to turn to shelters filled to capacity. Left with no place else to go, some people are putting makeshift roofs over their heads in tent cities. As the crisis continues, it's easy to let fear take over - but it doesn't have to. Orman's five-step plan can help you rise above and take control. "There's only one person that's going to save you right now, and that's yourself," she says. "You have got to get on what I'm calling the 'save yourself movement.' Each and every one of you has to have your own personal financial stimulus action plan." You’d have to be living in Siberia right now to not know about the financial crises felt around the world. It seems like no profession has been untouched by the new economic climate we’ve all found ourselves in. Everyone seems to have a theory as to what caused this financial disaster, how long it will last, and what we need to do, in order to get ourselves out of it. I’ll be honest with you; the last thing I am is an economist. And the truth is, I still count on my fingers when no one’s looking, but I certainly know about finances and relationships, and how not having enough money (whatever that subjective number is) can cause a heck of a lot of stress in people’s lives. Whether we want to admit it or not, money does make life easier, and when there’s less of it, certain adjustments have to be made. 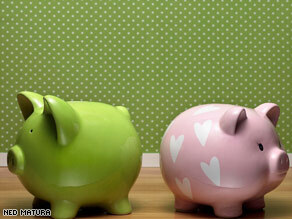 Money is the third wheel in a relationship, and it’s not a particularly romantic third wheel either. Especially when a couple has to talk about what they need to cut back on and/or what they can no longer do or have (at least for their immediate future). It can feel like a huge loss and embarrasses and assaults one’s ego. After all, who wants to have or do less? Who wants to give up on their dreams for the future? This “having less” idea is an understandably upsetting one. I know I don’t like it. Yet, many people have to make some pretty tough, yet necessary choices when it comes to altering the way they look at their finances these days.